Angela’s lifelong girlfriends connected us with the Fill Your Bucket Foundation and we were granted a few days vacation at Carolina Beach. We had a great time. 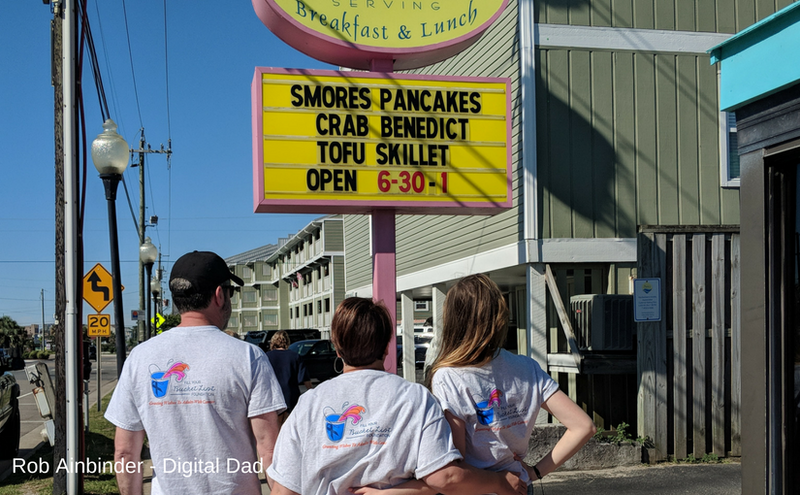 Breakfast with our Fill Your Bucket List t-shirts on. There is the group of Dad Bloggers that I have been part of since October 23, 2013 when the group’s founder welcomed me to the Facebook group. 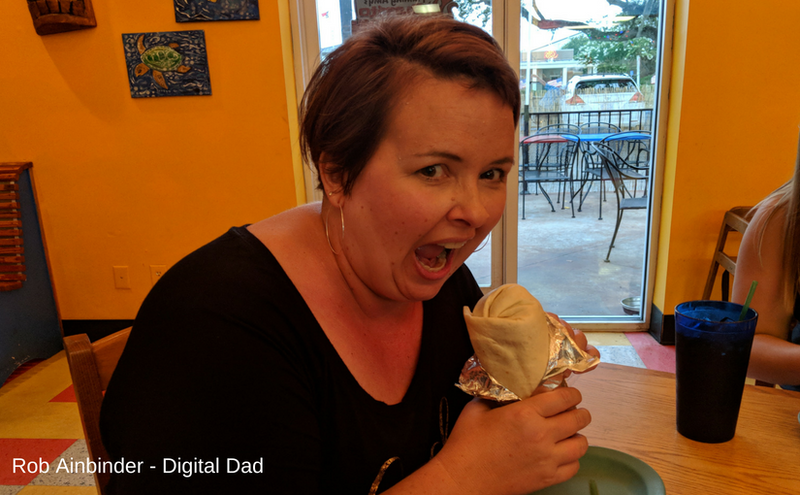 I joined on a lark, not sure if I “fit in” to a Dad Blogger’s group, although I had a daughter and had been blogging since 2003. When I updated the group something really amazing happened. 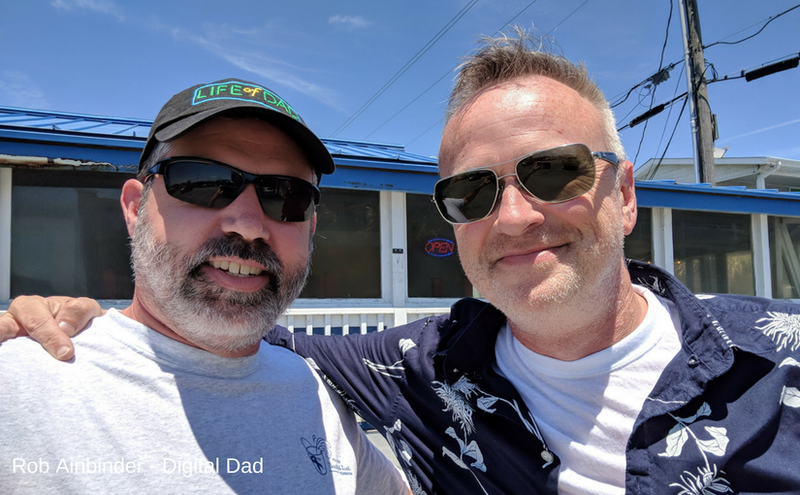 Joe Medler, over at Developing Dad reached out to me and encouraged his brother Eric to meet up with me. We got connected on Facebook and agreed to meet up at the Sea Witch Tiki bar while I was in Carolina Beach. We had a great time, drinking a few beers, eating and talking. Our time focused some on our respective journeys as a guy and general outlook on life. The group of Dad Bloggers is truly amazing. And it was very cool of Eric to meet up with a stranger and share his time. 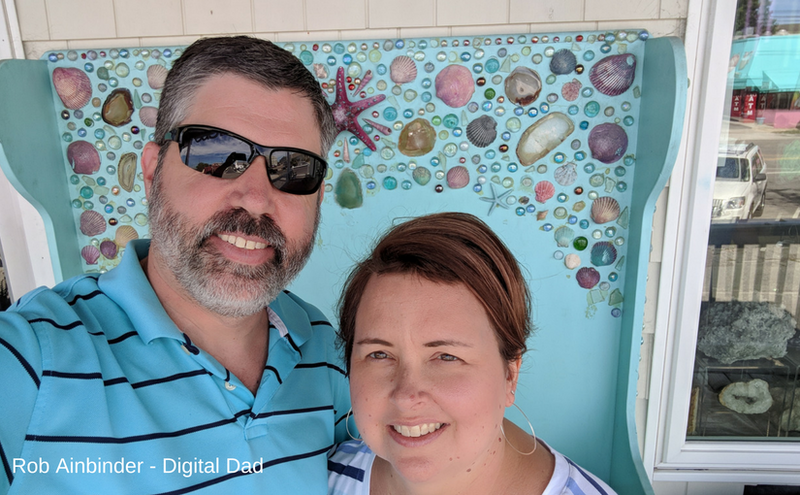 After all this fun (and sun), we headed back to Greensboro and Dr. Gorsuch to find out the results of the latest MRI and they were worse than we ever thought possible. On July 12, 2018, we went to see Angela’s Medical Oncologist (Dr. Ni Gorsuch) at Cone Cancer Center in Greensboro, NC. Prior to this visit, Dr. Gorsuch had consulted with Ang’s Neuro-Oncologist at Duke. 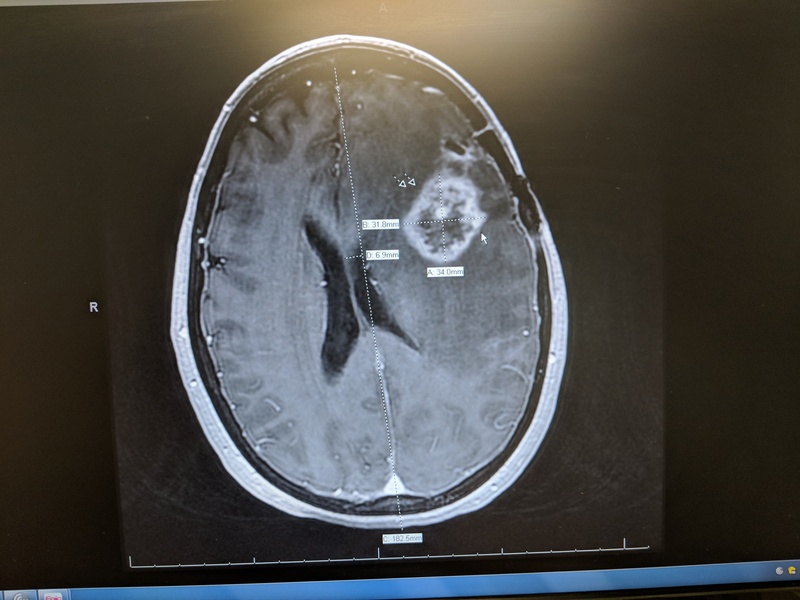 Angela’s MRI wasn’t good. 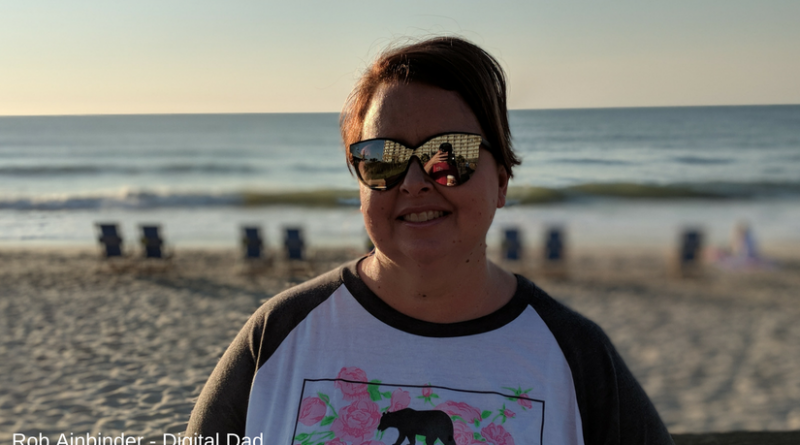 A midline shift had occurred due to her original tumor site and additional nearby tumors. A midline shift is where the middle line of the brain is shifting towards the left in the MRI image above). Angela has been on a high dose of steroids to combat the swelling. Duke presented an option, a combination of an extremely toxic chemotherapy drug (Irinotecan) and Avastin a drug that attempts to restrict blood flow to tumors. When taking a very long look at the added longevity there was very little. There was also the very real chance for life-threatening side effects like stroke, and clotting. 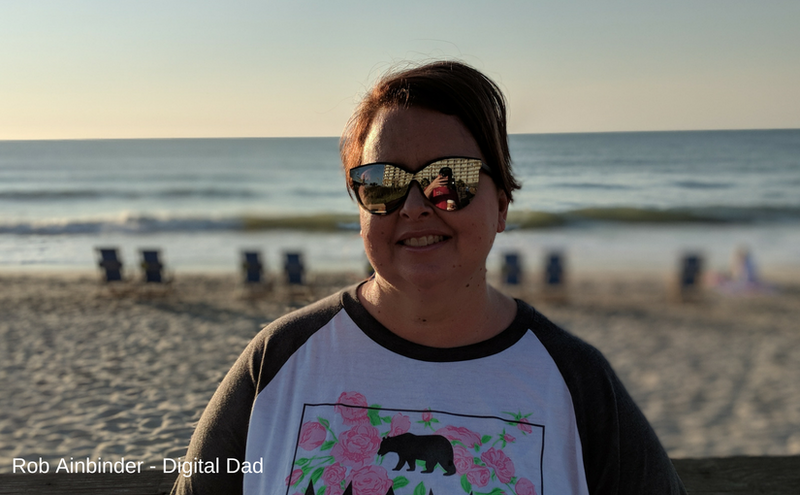 With her high dose steroids excluding her from many studies and the Duke recommendation of Avastin and Irinotecan so toxic (and with each option offer so little enhancement), Angela makes the biggest decision of her life, to discontinue treatment for GBM. Where she gets this internal strength is beyond me. There is a really deep well. She has calmly and graciously moved from treatment to this decision. Not without tears, but with an unimaginable amount of strength. I am in awe of it honestly. She will continue to see Dr. Gorsuch in Greensboro every two to three weeks to manage any issues. We will make the most of the time she has left, about six months. I am mad at medicine and G-d. I feel like medicine doesn’t know the first thing about treating this cancer effectively and permanently. Not that doctors don’t care. They do. Just that this small population cancer is at the outer limits of research and treatment.